When Hanna Heath gets a call in the middle of the night in her Sydney home about a precious medieval manuscript that has been recovered from the smouldering ruins of war-torn Sarajevo, she knows she is on the brink of the experience of a lifetime. A renowned book conservator, she must now make her way to Bosnia to start work on restoring the Sarajevo Haggadah - a Jewish prayer book - to discover its secrets and piece together the story of its miraculous survival. But the trip will also set in motion a series of events that threaten to rock Hanna’s orderly life, including her encounter with Ozren Karamen, the young librarian who risked his life to save the book. As meticulously researched as all of Brooks' previous work, People of the Book is a gripping and moving novel about war, art, love and survival. A rich and utterly absorbing novel about the life of King David, from the Pulitzer Prize-winning author of People of the Book and March. 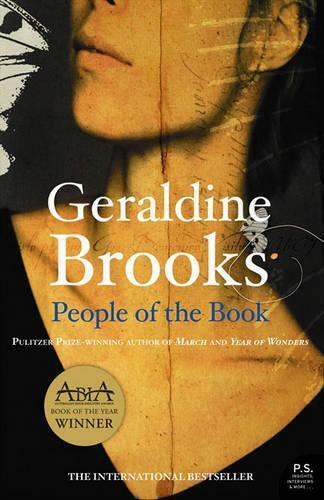 The new novel from Pulitzer Prize-winner Geraldine Brooks, author of the Richard and Judy bestseller 'March,, 'Year of Wonders, and 'People of the Book,.